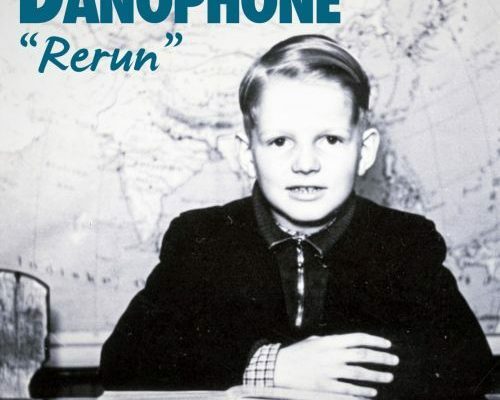 Danish science journalist Carsten Nielsen balances his fact-based career with the art-based music of his band Danophone. Nielsen (vocals, guitar, bass, keyboards, saxophone) is joined by Bertil Bille (drums, percussion) and Tino Pedersen (guitar, bass, background vocals) for the project. The European trio released its debut Americana album, Rerun, this past December where the majority of the record’s songs are steeped in the low-key prairie sweep of laid-back acoustic strum, subdued drum beats, and Nielsen’s unassuming vocal tone. Danophone kicks it up a notch on the Bruce Springsteen-influenced City Of The Kings. Nielsen’s vocals may still be casually delivered, but there’s a more plaintive register to them as he sing-talks about the history of Madrid, Spain, covering events like war, revolution, and natural catastrophes. Twining, twanging electric guitars, cymbal smash, and a stronger drum beat support Nielsen’s matter-of-fact, storytelling vocals as he paints a picture of poverty that haunts its citizens as they live their lives amid the unrest. If you enjoyed Danophone’s City Of The Kings, make sure to give them a like on Facebook by clicking here & a follow on Twitter by clicking here.